It looks like the warm weather is here to stay, which means that it’s a great time to change your bed linens and put your flannel sheets into storage. Although it may seem like an easy task, there is more to cleaning and storing linens than you might think. Taking the time to store them correctly is a sure way to maintain the color and integrity of the fabric, keeping them soft and comfortable for years to come. Here, Affordable Family Storage in Billings, MO discusses some simple storage solutions for bed linens. 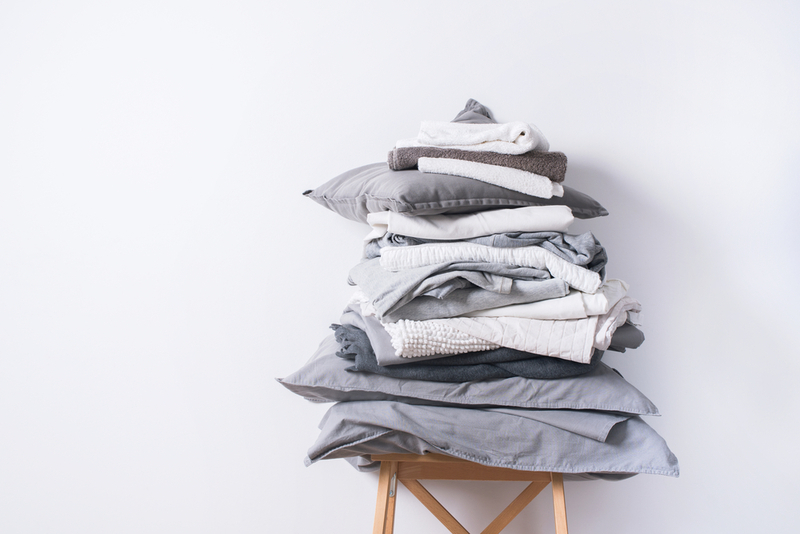 Yes, this tip may seem obvious, but you would be shocked by the number of people who throw their bed linens into storage without running them through the washer and dryer. Failing to clean your sheets before putting them in storage can allow unpleasant smells to set deep into the fabric. Depending on how long the sheets stay in storage, it may be impossible to rid the fabric of the smell. Before storage, wash your sheets in cold water on the delicate cycle of your washer. Typically, you will want to use less detergent than normal because soap build-up can make your sheets stiff. After the sheets are washed and dried, it’s time to place them in a container. Fabric-friendly containers, such as blanket bags, are generally the best storage solution. We also recommend putting acid-free paper between the sheets to allow for more air circulation. Remember not to use cardboard boxes when storing linens. Though cardboard boxes are a perfectly acceptable and affordable storage solution for some items, the acid in the cardboard is known to ruin the color of sheets over time. Sachets are small cloth bags filled with aromatic ingredients. While they are not necessarily a must, they certainly add a nice touch when you are storing bed linens. Simply place the sachet in your storage container so the linens maintain a nice, fresh scent for months to come. Linens, like so many other delicate items, should be stored in a cool, dark place. Light exposure can ruin the sheet’s color and excessive heat and humidity can lead to mold and mildew. For this reason, climate-controlled storage units are the best storage solution for linens. In a climate-controlled unit, the quality and integrity of your linens will be protected from the elements of nature. If you are looking for storage solutions in Billings, MO, look no further than Affordable Family Storage. We offer climate-controlled storage units for a great value. To reserve your unit, contact us today!